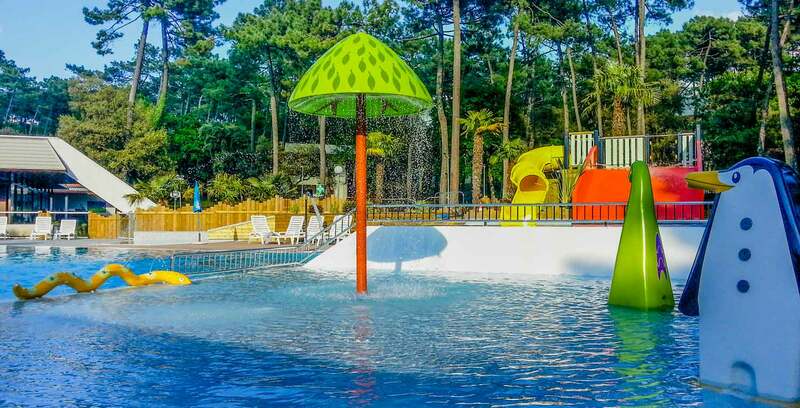 To offer you a rejuvenating and revitalizing holiday near Royan, our campsite has a full aquatic area designed for holidaymakers of all ages. Enjoy the joys of the pool when you return from the beach or in the early hours of the morning! 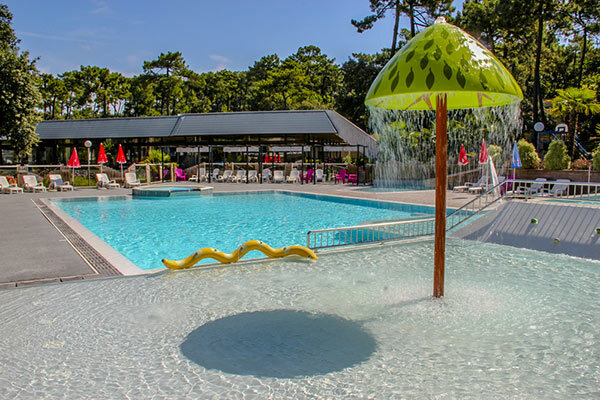 Our main pool, with a surface area of 140 m2, allows you to swim, teach your children to swim and have fun with your family. Its progressive depth of 0.80 m to 1.40 m is ideal for children, and also makes it possible to organize water polo matches, aquagym sessions and introductions to diving in good conditions. 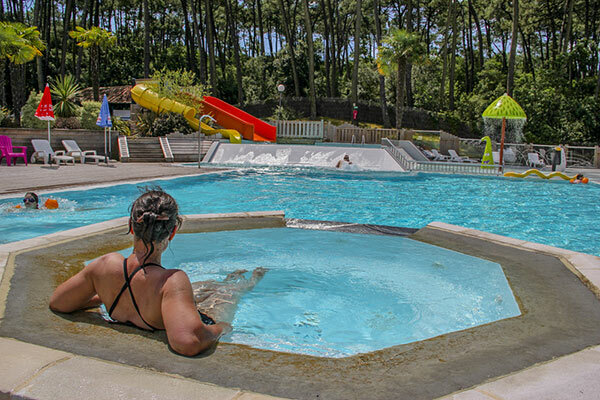 Your campsite with swimming pool also thinks of the youngest: with a paddling pool of 25 m2 and adapted water games. This way, even young children will also be able to enjoy the pleasures of water on a daily basis. 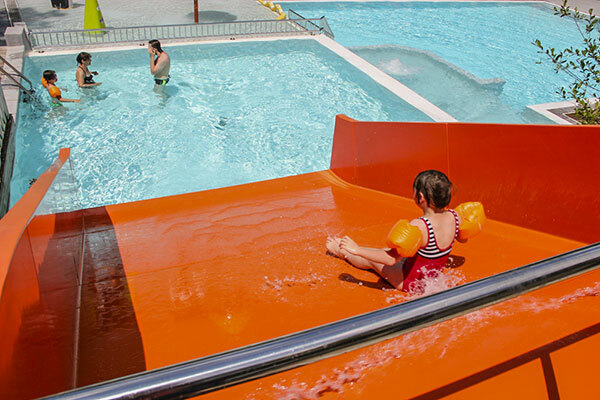 Our aquatic area is equipped with several slides for the greatest pleasure of your children! 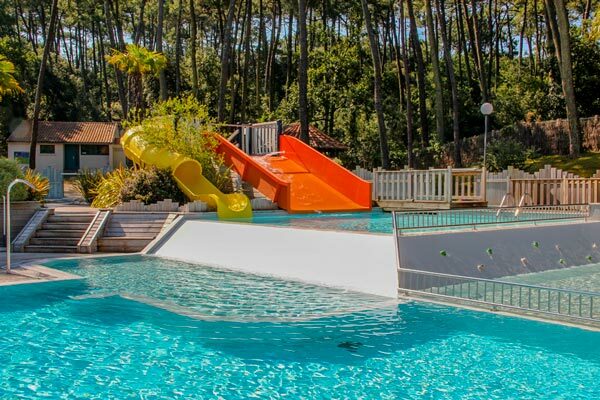 A swimming pool with slides, it’s the guarantee of a successful holiday in Royan: you can relax on a deckchair while your children will not get tired of the slips and splashes in the water. Two 3-metre high slides await them: a tubular one and a wide pentaglisse. A special pool welcomes children upon arrival, for their safety and the tranquility of other swimmers. Comfortable beaches border the pools of the aquatic area, they are equipped with comfortable deckchairs, and pleasantly shaded by large palm trees and parasols that you can move at your convenience. 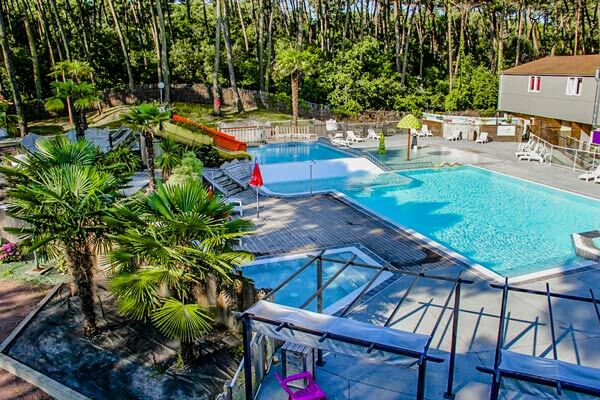 Spacious and with many leisure activities, the swimming pool of the village Océan Vacances promises you all an unforgettable relaxing stay! 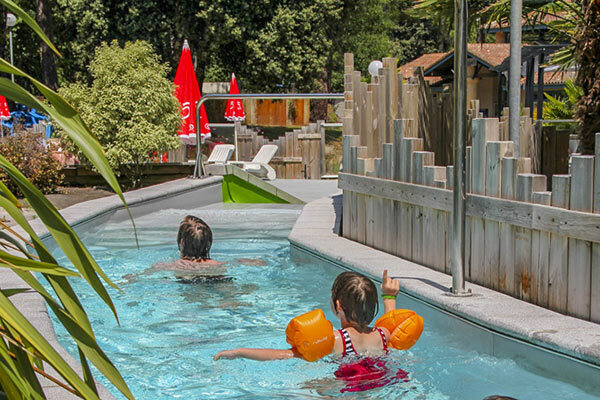 Our water park also includes relaxation and wellness equipment that will delight the whole family: a swimming river, a large Jacuzzi for adults, massage jets… Indeed, to allow you to relax after your excursions around Royan, our heated swimming pool also has massage jets of the gooseneck type, and a whirlpool area. The aquatic area also includes a large jacuzzi for a touch of absolute relaxation and relaxation, enjoy it! Because holidays are also about enjoying moments of your own, our wellness area invites you to the relaxation in its hammam followed by a Jacuzzi session, or to keep fit by preferring the fitness area and the weight room. 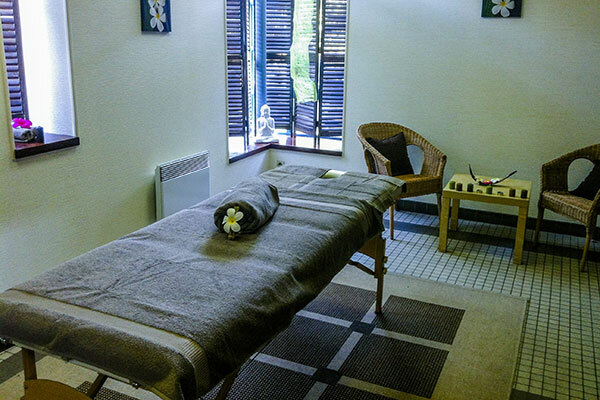 A beautician also provides you with body modelling treatments in a dedicated massage area, in high season for a complete well-being. Services for a fee, by appointment for massages.